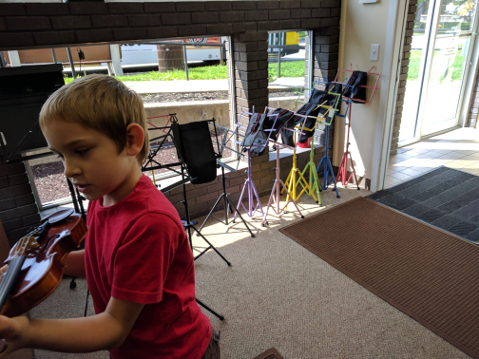 Violin and Viola Lessons are provided to students from grade school age through adult. Beginning through Advance levels are provided. Beginning Students who have not had any instrument training will need to rent or purchase an instrument. A discussion regarding instrument sizing and where to acquire an instrument can be determined either over the phone or at the first lesson. Intermediate and Advanced Students will need to prepare select pieces from their current repertoire to determine where to go next in their studies. Though it is not required, many students choose to audition for All-State Orchestra or other forms of competitive contests. Books and materials will be determined at the first lesson for all levels. Practicing is expected from all levels. To request lessons or ask a question, use the contact information below.